Private day tours around Lake Biwa! Welcome to Japan! YUtour specialises in organising unique private day tours around Lake Biwa or Shiga prefecture in the Kansai region. We also custom-build interesting tour itineraries for you and provide other various services to help make your holiday a memorable, enjoyable experience. Join us and enjoy your time here! 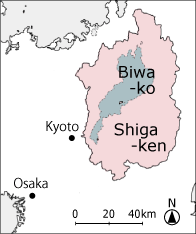 Shiga-ken is one of the 47 prefectures of Japan that embraces Japan's largest lake, Lake Biwa. It is easily accessible from the urban centre of Kansai, especially from Kyoto --- just a quick 10 minute trip by JR (Japan Railway) brings you to this beautiful prefecture. Shiga is one of the nation's best places to see a mixture of history, culture and nature. One distinguishing feature of the prefecture is its wealth of historic assets. Both as a neighbouring prefecture of the former capital, Kyoto, and as a junction between eastern and western Japan, Shiga has been a theatre of many historic national events for thousands of years. 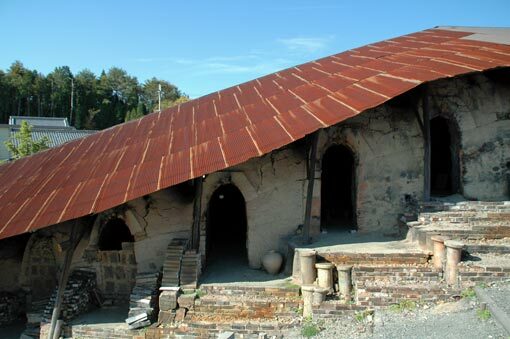 Consequently, the prefecture today has the third and fourth highest number of buildings registered as National Treasure and National Cultural Asset respectively. This unique location provides a lot of important temples, Shinto shrines, castles (most are ruins) and other historical sites scattered around Lake Biwa and its surrounding mountains. Another significant feature is the abundance of nature. Although Shiga is an inland prefecture enclosed by mountains, Lake Biwa and hundreds of rivers flow into it create the landscape which boasts plenty of water throughout the area. Along the western and northern shore of the lake, white sandy beaches lined with pine trees stretches on and on. 1,000 metres-high mountain ranges constantly change their colours between lush greens in spring, red and yellows in autumn, and whites in winter. It is no wonder that Shiga maintains a reputation as one of the key centres for outdoor activities in Kansai attracting urban residents seeking an easy weekend escape from their hectic city days. Inevitably, Shiga's long list of attractions and activities will ensure that you want to take it all in. Lovely temples in a quiet forest, peaceful villages surrounded by rice fields, majestic mountain ranges and the glistening magnificence of Lake Biwa --- all these experiences will make your days in Japan more colourful and unforgettable! 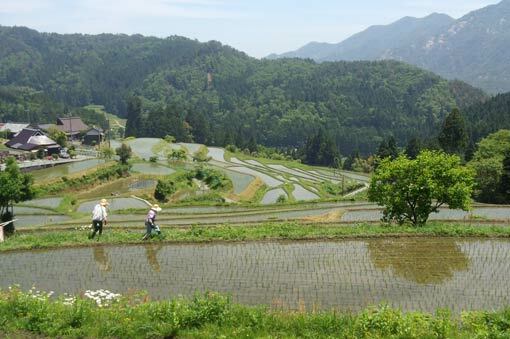 Visit Hata, a mountain village boasting maginificent rice terraces, and Harie, a neighbourhood known as a "home of living water" near the Lake Biwa. Visit expert ceramic artists in the pottery town of Shigaraki, and learn about the most common beverage of Japan in Asamiya, a center of tea plantation.